The Colorado Division of Workers’ Compensation reports in Work Related Injuries in Colorado that 50 people experienced heart-related work injuries that led to time missed from work in 2008. A heart attack or other damage to the heart can occur for many reasons, but when the heart attack is caused as a direct result of your job, you may be covered by workers’ compensation for medical costs, lost wages, disability benefits and death benefits if the heart attack leads to death. Not every heart attack is work related, and it is up to you to demonstrate that you meet the Colorado workers’ compensation requirements for proving that your heart problems were caused as a direct result of your job. As such, you must understand Colorado laws on the heart attack unusual exertion requirement. In many cases, your employer will try to deny that your heart attack was caused by work, so it is important to have a Boulder Colorado workers’ compensation attorney on your side. 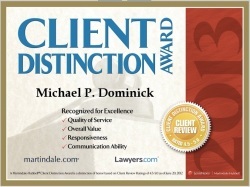 The Dominick Law Firm has helped many clients to successfully prove that they should qualify for benefits based on a heart attack. Contact us today to learn how we can help. In order for you to receive benefits under workers’ compensation, you must have suffered an injury or medical problem that would not have happened but for your required job performance. While there is no need to prove your employer was in any way negligent, and while your injury doesn’t necessarily have to have occurred at the place you usually work, your injury does have to directly relate back to some required job tasks or duties. Unfortunately, sometimes pinning down the exact cause of a heart attack can be difficult- which makes proving that your heart attack was work related challenging. In order to resolve this problem, Colorado has established an unusual exertion requirement for determining whether a heart attack at work can constitute a work-related injury. This test looks at whether you had to engage in physical work or physical labor beyond what was normal for your job or position. For instance, if you were hired to lift and load boxes for a shipping company and you had a heart attack while loading boxes, then this would not constitute unusual exertion since you were simply doing the job you were hired for. However, if you were hired to fix computers for a shipping company, the package loaders were out sick and you were pressed into service lifting heavy boxes, this would be an example of unusual exertion. If you suffered a heart attack while lifting those heavy boxes, you would be entitled to workers’ compensation benefits or, in the event of your death, your family members could receive death benefits provided by workers’ compensation. Employers will often try to deny that there was unusual exertion in a situation where a heart attack occurs. As such, it is important to do everything possible to establish solid proof of the cause and the extent of your injury. A workers’ compensation lawyer can help. The Dominick Law Firm can help you to understand your rights under Colorado workers’ compensation laws and under the specific policy your employer has in place. Our Boulder workers’ compensation firm has assisted clients with workers’ comp claims throughout Boulder, Longmont, Louisville, Lafayette, Erie, Broomfield, Greeley, Ft. Collins, Superior, Denver and the entire Colorado Front Range. If you live in this area and need assistance understanding or enforcing rights after a work-related heart attack, contact us today at 303-447-2644 or using our online form to schedule a free consultation to learn how we can help.